Dimensions: 3" x 0.8" x 1.9"
Inline TDS Meter measures the tap or any other water source such as water coming out of your purification system for TDS, Total Dissolved Solids. Ideal for testing the effectiveness of Reverse Osmosis systems. Measures Total Dissolved Solids (TDS) in water. SM-1 Monitor Displays TDS levels of the water with an electrode probe. 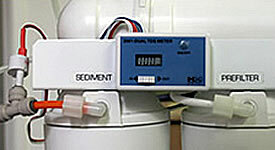 SM1 TDS Inline Water Monitor comes Factory Calibrated: meters are calibrated with a NaCl solution. Meters can be recalibrated with a mini-screwdriver. 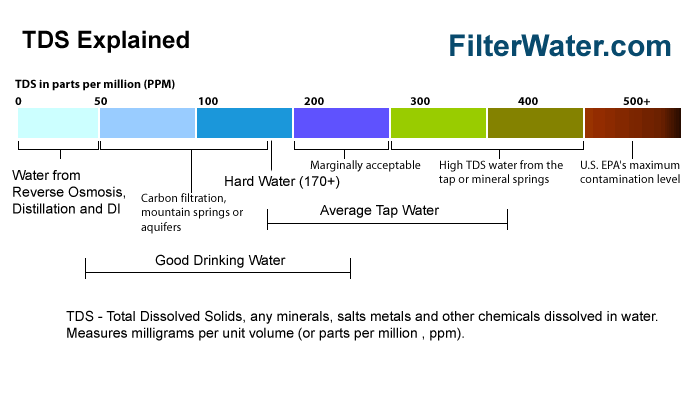 This is a typical TDS, Total Dissolved Solids Scale , what you can expect your water to be. Comparable to BM-TDS reverse osmosis inline TDS monitor. 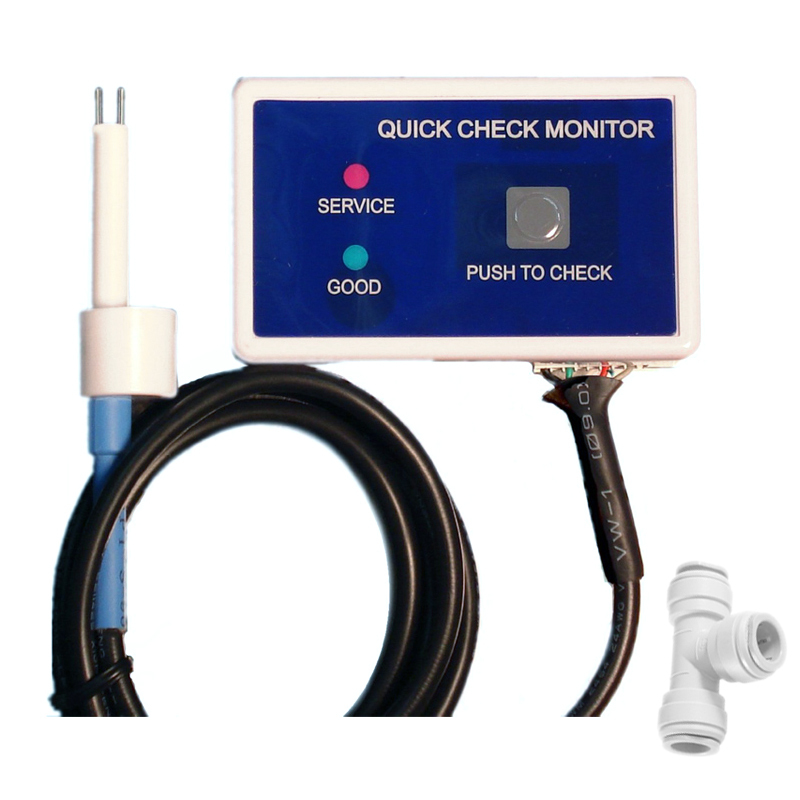 Use DM-1 TDS Meter to determine when the filters need to be changed.